Our lavish Royal Suite is the pinnacle of luxury at Royal Lancaster London. This elegant and spacious room, with breathtaking views, is generously appointed. The living room provides a sensational entertaining space complemented by a sumptuous bedroom with the ultimate in modern comforts and technology. The impressive marble bathroom features, twin sinks, large bath and walk-in shower. Indulge in chic London at it's best. Our lavish Royal Suite is the pinnacle of luxury at Royal Lancaster London. 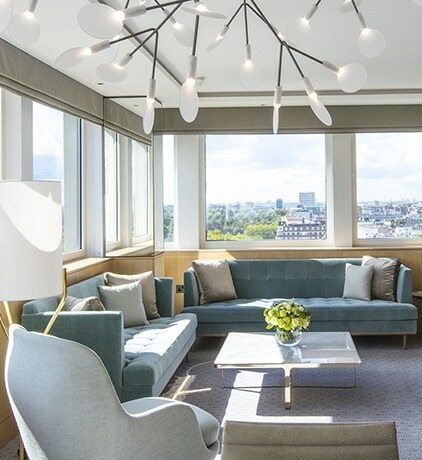 This elegant and spacious suite, with breathtaking views across Hyde Park and the London skyline, is generously appointed. The living room provides a sensational entertaining space complemented by a sumptuous bedroom with the ultimate in modern comforts and technology. The impressive marble bathroom features twin sinks, large bath and walk-in shower. 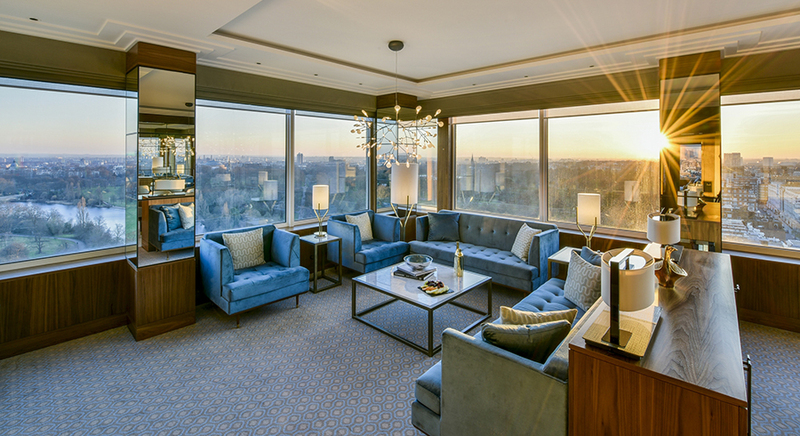 Live the suite life in London.